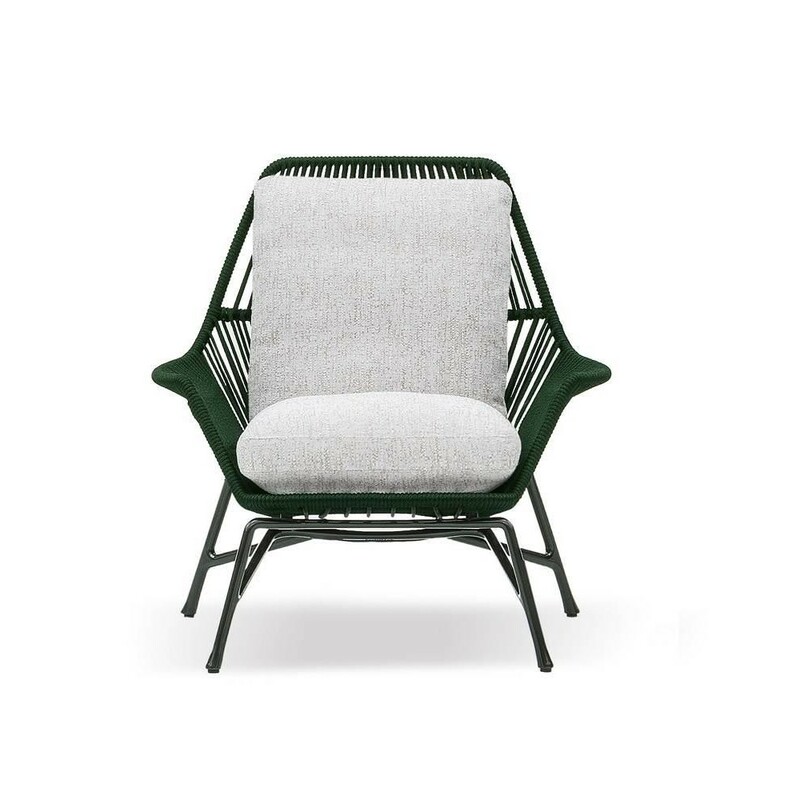 The outdoor version of the homonymous seat of the 2012 Indoor collection has an exposed shell composed of a unique woven fibre available in three color variations – Sand, Forest Green and Charcoal. 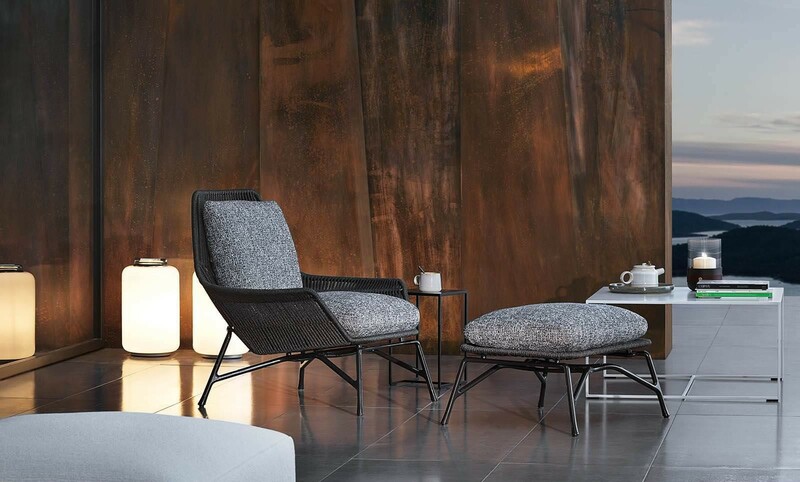 Inspired by the American modernism of the Fifties, its lines are underlined by the aluminum base made with a sophisticated die casting process and painted in glossy Pewter or White with an “orange peel” effect. 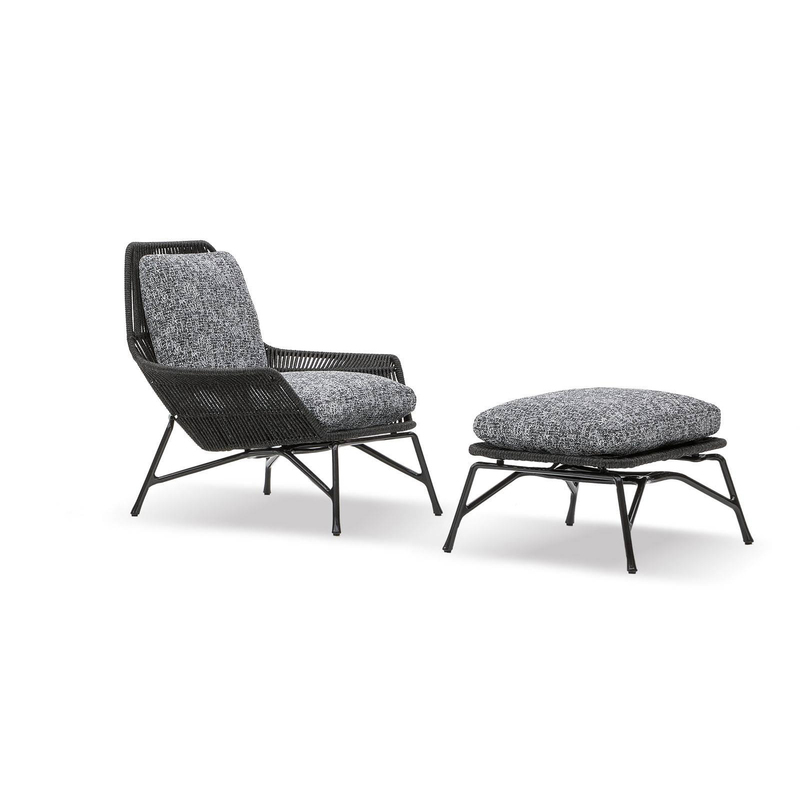 The fully removable backrest and seat cushions guarantee excellent comfort, while a footstool with the same finishes can be combined with the armchair. 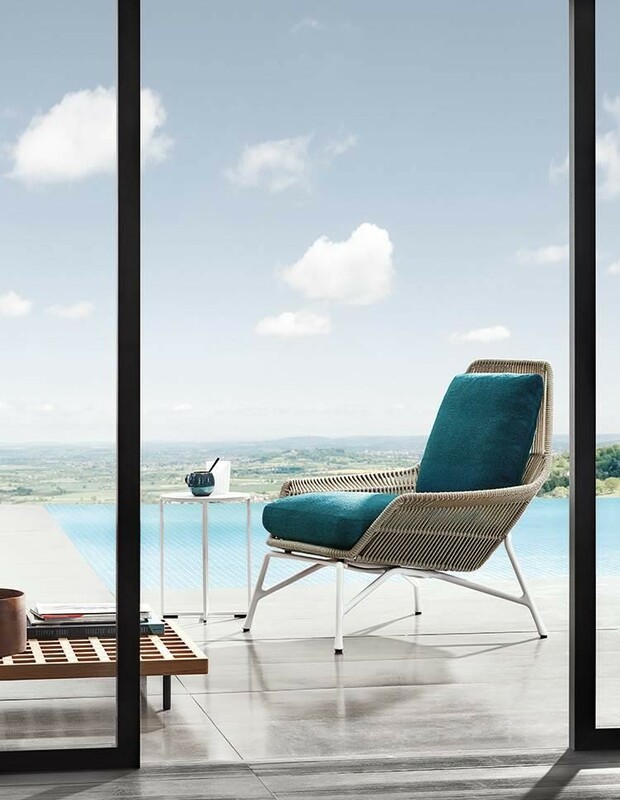 Once more the concept of abolishing the boundaries between indoors and outdoors, a feature that distinguishes the Minotti collections, is carried out in a piece of furniture that designs open-air spaces with contemporary elegance.